Who said dieting can't be a laughing matter. Learn how laughing can help you burn off calories and be your safe guard against disease. Only by laughing take it to the next level. Here's how. How much are you laughing everyday? The reason we laugh is because we find something funny. A good joke has a way of working in many different situations and causes us to break down as if we are about to cry. While trying to hide your smile or keep you gut from busting, what you don't realize is that in the process of laughing you are burning off calories. Let's take a look at how this works. Are you aware of exactly which muscles you use while laughing? You may have laughed so hard that you fell down to the ground as if you were punched in the gut. There is more than one reason why laughing could cause this to happen. 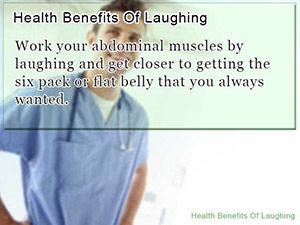 On reason you may already know of is that when you laugh your abdominal muscles retract. Not only does this cause your body to collapse inward, it happens without warning. Since you are not aware at which time you will burst out laughing, it is natural for your body to react to this change by readjusting you back to its original position. You body reacting to laughing combined with abdominal muscle contraction causes a high frequency abdominal workout, similar to performing sit-ups. It addition to the workout you are getting on your abs, as you force air out while laughing, it becomes necessary to breath in during a short amount of time. This causes your abdominalｓ to tighten up even more, leading to the sensation of pain and enjoyment at the same time. Laughing requires great effort from you abdominal region, burning of a considerable amount of calories. It is hard to repeat what laughing does to your body voluntarily. In addition to causing you abdominal muscles to hit the ground running, laughing has an effect on other parts of your body, such as your respiratory system and back muscles, causing you body to burn off extra calories. Let's take a look at how laughing sizes up to an exercise such as walking. 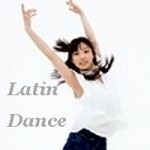 In addition we will also how the degree in which you laugh differs in calorie consumption. When you snicker, or lightly laugh, the amount of calories you burn in 10 minutes as a result of laughing is said to only add up to 10kcal. If you think about it, you will realize that this isn't much. Comparing this to the amount of calories you would consume walking (27kcal), the different is somewhere between 1/2 and 1/3. You may be thinking, "Hey, I thought you were supposed to burn more calories when you laugh?" Yes, this is correct when you are laughing considerably hard, busting out. It is said that when you crack up and break down with laughter as much as 3-4 times more calories are burned compared to the amount you burn by just snickering. When you hear a joke and laugh even though you didn't find it funny, not only is it obvious to your buddies, it also doesn't help you burn off any calories. Laughing this way doesn't force abdominal breathing, which doesn't have an impact on burning off calories. Similarly, even in the case of accidental laughing, such as snorting, extinguishing the sound of your laughter through your nostrils, it is ineffective in stimulating forced abdominal breathing. This is why that even when you have to force your laugh, do it with just so that you burn calories also. As easy as it may sound, you may sense some difficulty in carrying out this approach while at work. However, don't let me stop you, trust your gut. By now, you may be convince that along with walking, laughing can help you burn off the calories seamlessly while you enjoy yourself. Just when you thought you had the science of laughing down, there is more. Where you look next, is to the relationship between medicine and your diet. Amongst medical practitioner, laughing is prescribed to help out with more health issues that you would know. For example, laughing is said to have a positive effect on your brains serotonin levels, making you feel good. This could make or break your diet in some cases. Most diets are failed because of stress; not being able to cope with the restrictions you diet puts on you. By laughing more often, you are not only helping your diet, but you well-being as well. Don't you think that there is more to laughing that meets the eye? Well actually there is. When you laugh your body is forced into abdominal breathing, making you work areas of your stomach that would otherwise remain untouched, giving your basal metabolism the kick it needs. By increasing your metabolism, it is easy to burn off calories without putting in extra effort. That is why as you should think of every time you laugh as making one step closer to the finish line, diet success. This last point my seam like seem unrelated to dieting; however it is good to know anyway. Medically, laughter, enjoying yourself, is known to have a miraculous healing effect on you body. Notably, by forcing you to use the muscles located around your abdomen and diaphragm, laughing is thought to help with issues such as constipation, stress relieve, strengthening your immune system, and Alzheimer's. In particular, by strengthening your immune system laughing has been connected with the activation of your immune system ability to fight off cancer cells. This is why some cancer patient even after being told that they don't have much time left manage to beat the disease. Who would have thought that having a positive out look on things could make such a difference. Now you know how much laughing can make a difference in your diet and health. That's why from now on don't hold back, laugh it off. Too busy to hit the gym lately? Who needs the gym when you have flights of stairs to do stair climbing exercise on. Burn calories going places you need to go. 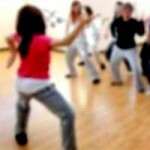 With a seamless way to force abdominal breathing into your workout routine the karaoke diet has it all including ways to burn calories without even thinking twice. When you laugh a tear of sweat leaves your body moving you closer to reaching your fitness goals on drop at a time. Work your abdominal muscles by laughing and get closer to getting the six pack or flat belly that you always wanted. 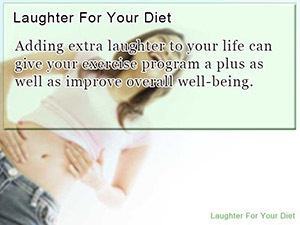 Adding extra laughter to your life can give your exercise program a plus as well as improve overall well-being.